Hawaii half marathon runners and walkers! Join a great club with lots of challenges to work on, as well as lots of discounts and great members. Many half marathon runners and walkers out there can’t alway afford to travel around to all 50 states. 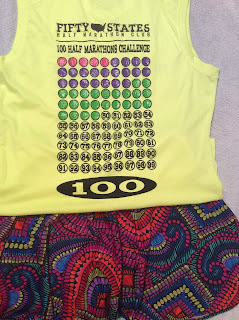 The 100 Half Marathons Challenge™ is a perfect alternative! 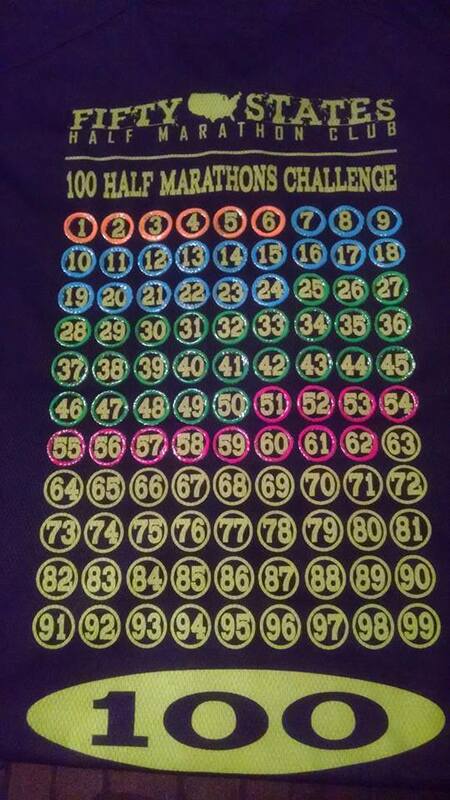 Join Fifty States Half Marathon Club and work toward your 100 half marathons, and take your time on the other challenges. All members can work toward all the challenges. Fifty States Half Marathon Club hosts a big annual meet up in a new state every year, which includes the big annual awards night for all the club members that finish a challenge. 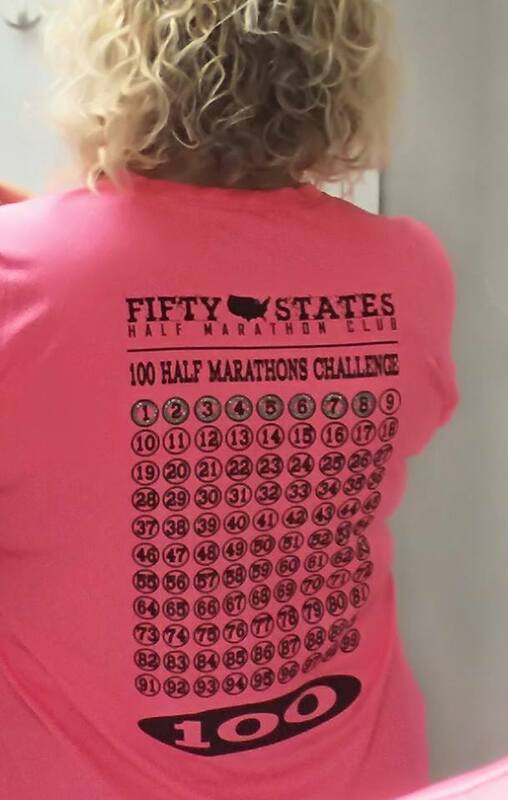 From the 100 Half Marathons Challenge™ to the 50 States Half Marathon Challenge™, or 50 States Endurance Challenge™, runners and walkers will enjoy a great group of members, with lots of opportunity to meet members at races. 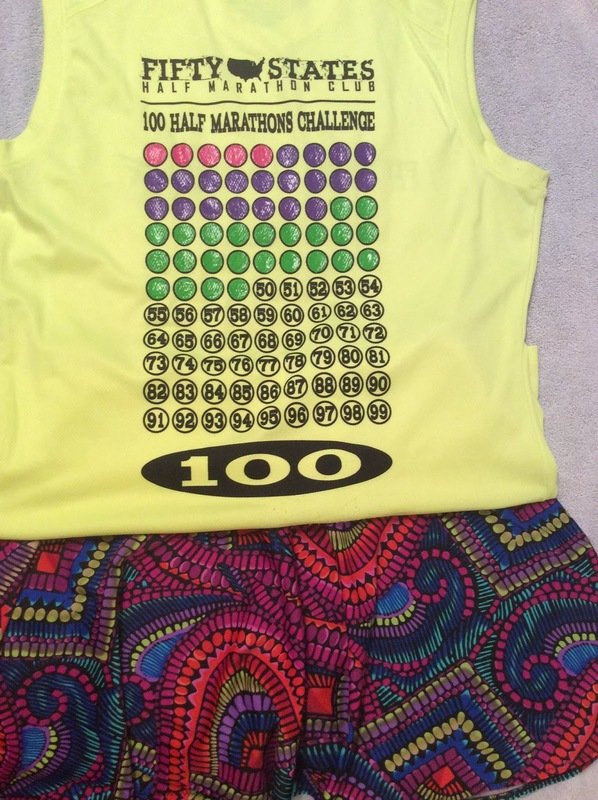 Paint your journey on the cool 100 Half Marathons shirts, designed by Fifty States Half Marathon Club, or the map back design as you work toward 50 states. Additionally, there is the 500 Endurance Challenge™, the 7 Continents Endurance Challenge™, and the new Canada 10 Provinces Half Marathon Challenge™. 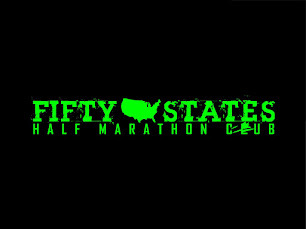 A description of each challenge can be found at the official website of Fifty States Half Marathon Club. Beautiful, classy awards when you finish a challenge! Was the race website organized and informative? Distances visible on home page, full address of location for out of state visitors, city and state visible of non-local participants, details about course, critical info easily found, etc. Was the race well organized? 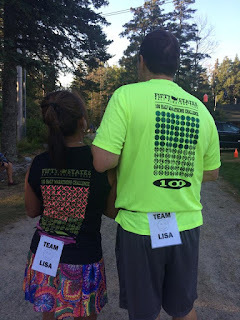 Packet pick up, expo, start time, timing, support? Did this race have an expo, or just a small packet pickup? Were enough volunteers recruited? How was on course support? Enough food? Enough water? How was the post race party? Good food? Music? Enough food? Enough refreshments & recovery food or drinks? Describe. How was the medal? below average? average? excellent? beyond excellent, pretty cool? Do you have a photo to share of your bling to include? How was the swag? Any awesome swag? Brand of shirt? How was the cost of the race compared to most half marathons? about average, a great deal, way too expensive for the swag, bling and support that was provided, well worth the cost for the swag, bling, post race party and support received? Was this a small race, a medium sized race, or large race? Was the course scenic? What was the highlight of the course (or highlights of the course)? What made the course fun (or totally boring)? Do you have any good scenic course photos to send us? Describe the course. Was it flat? Rollers the whole way? Flat with one big monster hill? All up? All down? All up then all down? etc. Was it shaded? Trees, dessert, mountainous, city streets, all neighborhoods, through a park, etc? We love to hear from our half marathon runners about all the half marathon races out there that you love, like, or didn't care for, and appreciate your feedback. We may share your review in multiple locations such as our half marathon blogs, or possibly even on Halfmarathonsearch.com. You can ask to be published anonymously if you'd like, but we do need your information in order to publish. Head to Kona for a June Hawaii Half Marathon vacation!? The Kona Coast is well known as the ultimate vacation destination in Hawaii. The 1/2 Marathon, 10K, and 5K courses run along the spectacular scenic shoreline of the Pacific Ocean offering beautiful views of crashing waves and mountains. The Marathon course extends into the unique black lava volcanic landscape of the Big Island of Hawaii. Experience the true aloha of Hawaii in this smaller family friendly event. RUN THE ROCK - Truly a run you will never forget in the Land of Aloha. AND if you are a Fifty States Half Marathon Club member, you will receive a discount to this event. Do you have a 2014 Hawaii half marathon date update or a new half marathon to add? 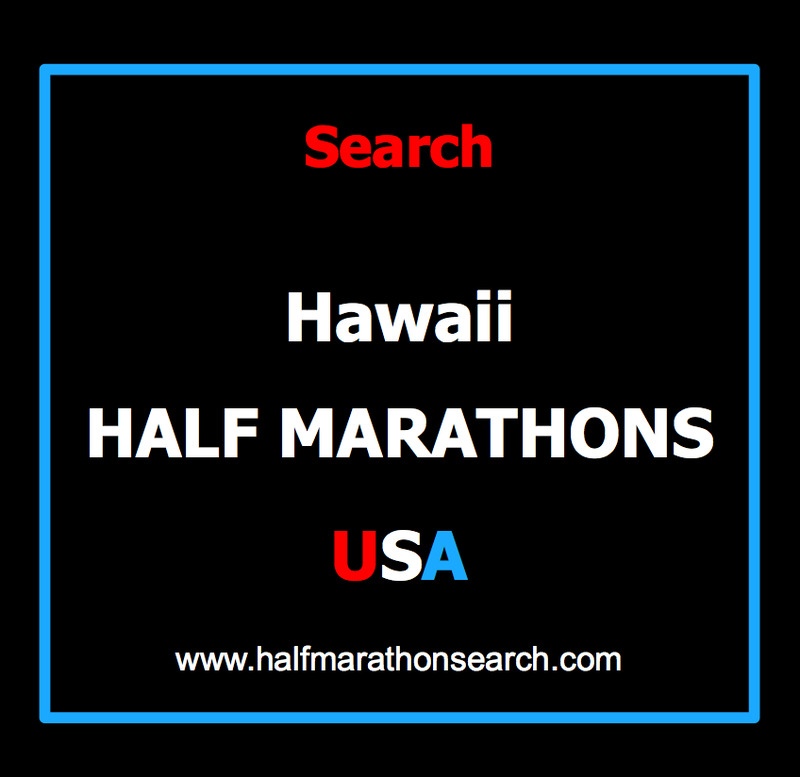 We are updating our Halfmarathonsearch.com half marathon calendar for 2014 as your dates are updated, so make sure to send us on over any Maui half marathons, Lahaina half marathons, Honolulu half marathons, or any other Hawaii half marathon 2014 dates! Want to advertise your event? 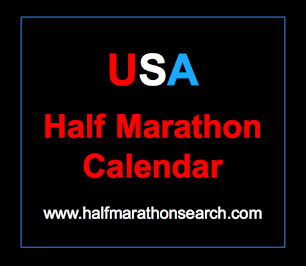 We have great ad prices on our halfmarathonsearch.com half marathon calendar as well! Get visibility on one of the most up to date half marathon calendars on the web! 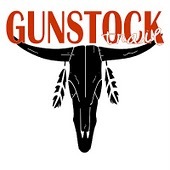 Click here to view our media kit and various advertising prices and deals. Sign up for the Volcano Rain Forest Runs 1/2 Marathon, 10k or 5k, and run at 4,000 feet, in the quaint village of Volcano, outside of Hawaii Volcanoes National Park. All participants run through the village streets in the lush native rain forest, with the 1/2 Marathon continuing into the upper ranch lands with stunning views of Mauna Kea and Mauna Loa volcanoes. All three runs are out and back courses. Start/Finish is at Cooper Center on Wright Road. Feel the power of the Big Island of Hawaii while running on one of the world's most active volcanoes, Kilauea. Volcano Village is 30 miles from the Hilo Airport and 104 miles from the Kona Airport. There are many B&B's to choose from in the Volcano area. Check out their website for more details. Here is a video of 2012 event. Additionally, if you are a Fifty States HALF Marathon Club member, you will receive a discount to the half marathon. Hawaii Half Marathon Runners, Marathoners & Triathletes - Join the Challenge! Have a Hawaii Half Marathon Race Review? OR are you a Hawaii Race Director or Event Organizer? Feel free to share with us your Half Marathon race reviews. What could they improve on if anything? 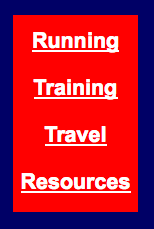 Are you a Race Director or Event Organizer and want to improve your website for athletes? 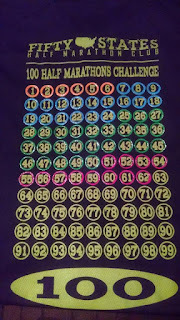 Half Marathon Calendar 2012 ? We are running a special, advertise 2 consecutive months or longer and we'll give you the ad for only $100/month!!!! Contact us for availability of the ad spot you'd like. 1/22/2012 - Maui Oceanfront Half Marathon started in old Lahaina, Hawaii and featured an out and back course along a busy Route 30. They say a bad day on Maui is better than a good day most everywhere else. Well I pushed that to the limit during this 13.1 mile event as the race started at 6:45 am, in the dark, in 70 degree heat. I knew I was in trouble when the sweat was dripping off my hat by the two mile mark. Running along the roadway was precarious at some points, but a gentle breeze before the turn around gave me hope I could run the entire distance. I was wrong of course and by mile eight it was over 80 degrees and my muscles were toast. No one can control the weather and poor preparation and hydration was my fault. Running out of town was a gentle up grade with no significant hills and back brought the same gentle slope down hill. The only complaint I really had was that the mile markers showed miles completed out and miles to go coming back right to a 26 mile marker for the marathon event which finished at the same point as the half marathon, a 5K, 10K, and a 15K. With an out and back course you couldn't get lost, but a better system for mile markers is required. Overall, I'd rate this a must run even though I haven't seen my poor results posted on line 36 hours later. Aloha! Get great discounts to Half Marathon events as a member of Fifty States HALF Marathon Club. Trail running and trail half marathons are really starting to become popular. The Gunstock Trails Half Marathon & 5k is offering Fifty States HALF Marathon Club members a GREAT discount, so add this fantastic race with a fantastic Race Director staff to you trail run to do list! This event currently takes place in Laie, Hawaii in October. This years race date is Saturday October 15th, 2011. Feel free to post favorite races, half marathon events, and anything and everything related to HALF Marathons in Hawaii!